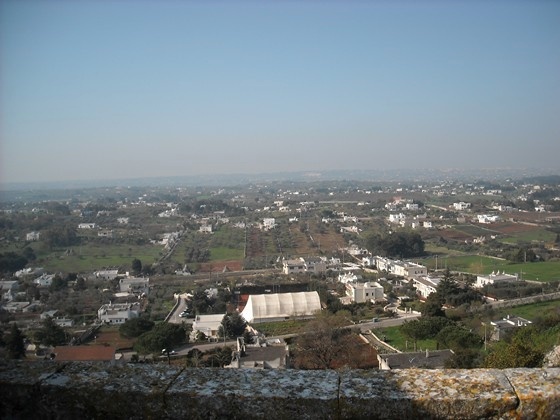 Cisternino, Puglia, Italy. Saturday 06-October-2012. 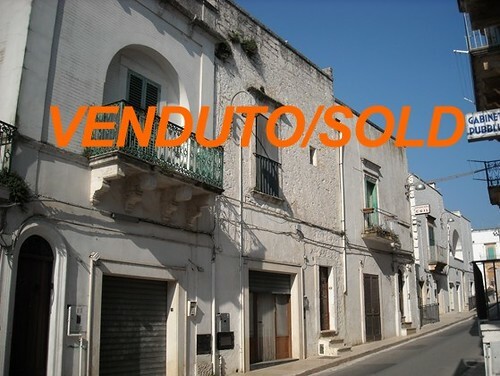 We made an offer on a bilocale (two room apartment) in Cisternino centro storico (old town, lit. historic centre). 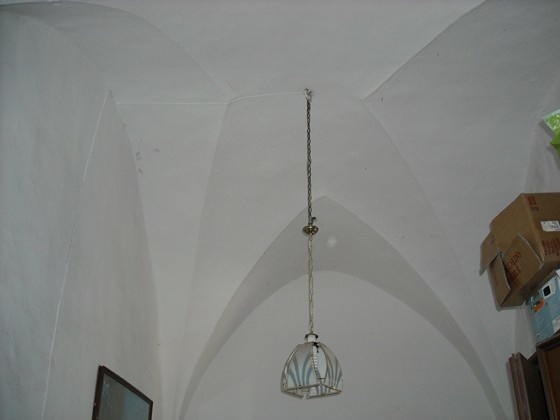 Mary has been hankering after a small apartment in Cisternino old town for some time. While we were out in Italy for my 60th Mary thought we should investigate what sort of properties were available. Just checking out the market, forward planning, you understand. We rang Pierdonato and he took us to see to see five properties - all in the old town, all in the same price range, all interesting but there was one that was a clear winner. We went to Bar Fod for a drink and a discussion. Could we afford it, should we make an offer, should we raid the savings reserved for paying off our mortgage next spring? Then I reminded Mary that now I was 60 I could take 25% tax free out of my pension funds. That was it, decision made! We rang up Pierdonato and made a verbal offer straightaway. Common practice in the UK, under normal market conditions, is to make an offer less than the asking price. When selling you mark up the property a little in expectation of a brief exchange of haggling and settling at a compromise around your actual target price. However this property was so perfect we did not want to miss it. After a brief discussion we rang Pierdonato back to increase our offer to the full asking price. The next morning we went into the offices of D'Amico to sign the "compromesso", a formal offer, and leave a post dated cheque for the deposit. Then a call to our FX company to transfer funds from the UK to our Italian bank account. It took Pierdonato a couple of days to persuade the vendors to accept our offer even though we were offering the full asking price. They had dropped a lot from their original asking price and had some inheritance tax to pay so were not eager to accept a full offer. In the end they agreed and countersigned the compromesso. Jubilation in Wandworth Town! We were already due to go back out in five weeks time to harvest our olives and close down for the winter - a perfect occasion to meet in front of the Notario and complete the sale. So that is what we arranged. A compromise, a settlement, an agreement. A preliminary contract, an agreement to sell.